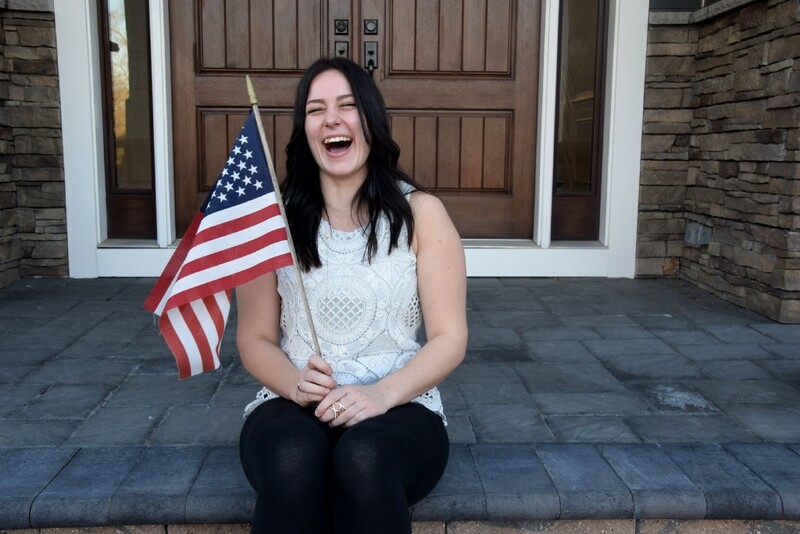 Caitlin De Backer, 19, nominated the family due to her experience as their au pair. The Amberg family with their au pair, Caitlin. When Matt and Candace Amberg’s two babysitters became unavailable due to changing life circumstances, the couple found themselves seeking a new, flexible childcare provider. 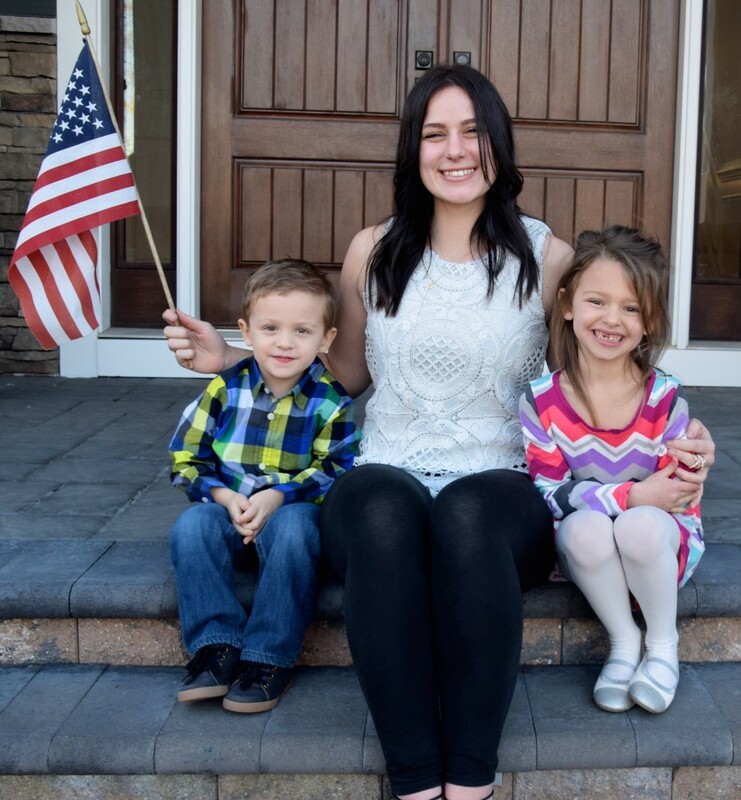 Ultimately, they chose to pursue hosting an au pair, and after a wonderful experience with the program, the Amberg’s have been named as finalists for the au pair Host Family of the Year Award. 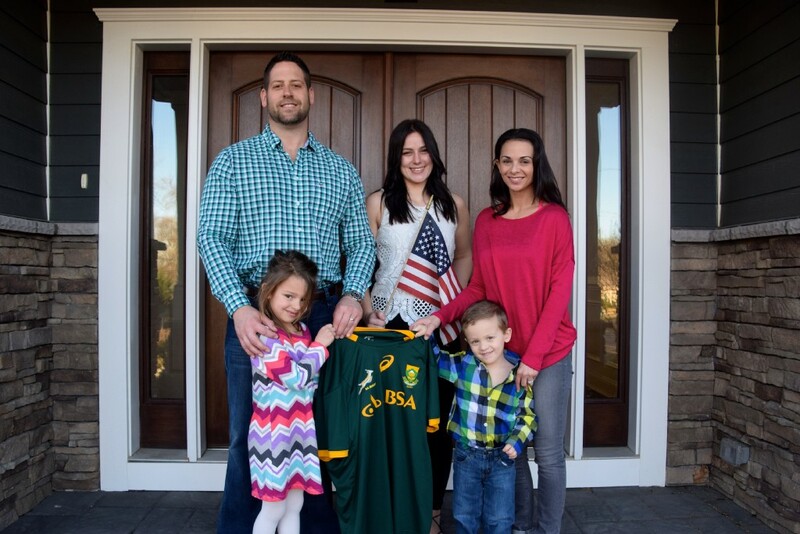 Unsure of what to expect out of the program, seeing as they had never hosted an au pair before, the Amberg’s were introduced to Caitlin De Backer, a 19-year-old from Pietermaritzburg, South Africa, on July 22, 2016. Since day one, the Ambergs said De Backer became a valued member of their family, and their children, Brooke, 5, and Brody, 3, simply adore her. As part of the au pair program, De Backer provides trusted care for the Amberg children and helps with household duties including making the children’s breakfast and lunch, cleaning up after the children and completing their laundry. In exchange, she is provided a private room and set a place at the dinner table each night. Feeding her love of learning about other cultures through travel, the Ambergs have invited De Backer to parties and to travel alongside them. So far, she has been to California and has seen various American sporting events. Demonstrating the bond she has established with the Ambergs, when the couple noted that when De Backer spends one-on-one time with their daughter, the 5-year-old calls it “sister time.” This bond is what has led De Backer to choose to remain an au pair within the family for an additional year through July 2018, although two years is the maximum amount of time one can remain an au pair. In response to her letter, the Ambergs received confirmation that they had been selected as a top 10 national finalist for the award out of 475 host families nominated across the country. As finalists, they will be requested to send in a summary describing their experience, which will then be reviewed to ultimately select the winner. The winning au pair host family, to be announced in March, will be required to attend an award ceremony — with expenses paid by IAPA — and to be cultural care au pair representatives during Work Experience Travel Market and International au pair association Annual Conference 2017, taking place from Saturday, March 25 to Monday, March 27 in Munich, Germany. “It’s quite an honor [to be named a finalist]. I am not sure we deserve to be nominated since I think we are just doing what’s normal for us, and treating Caitlin like we would want our children to be treated if they lived with another family,” Matt said.